Genesis as the luxury wing of Hyundai ensures everything stays in place that is required to make a comfort ride. Leaving alone the styling and comfort features installed in each of their signature models, Genesis never compromises on performance and safety standards which finally define the status of a car. 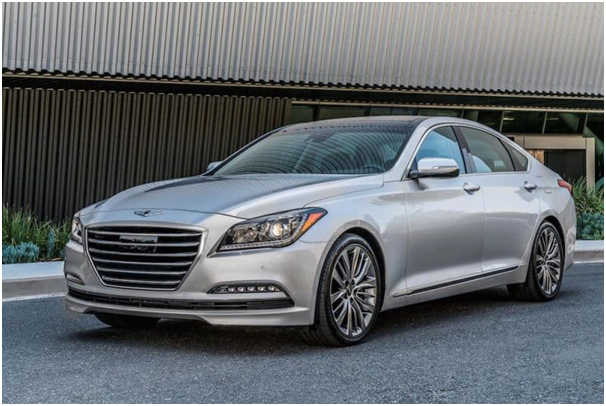 The 2019 G80 as one of the prime Genesis models, has won IIHS award for its safety standards while its performance has won millions of hearts who unanimously think, it is extraordinary. To get a first hand experience after hearing the rumors, we booked a test drive at the Newtown Square Genesis dealer that earned us the experience we all were longing for. Here is a brief account on the powerful performance we had while the safety features made us forget about the driving hazards. Apart from being an enviously luxurious vehicle the 2019 G80 from Genesis has even proved itself to be a workhorse that never gets tired. Powered by a 3.8 V6 GDi Gasoline Engine, it can resume maximum of 315 hp at 6,000rpm and a Torque of 40.5kg·m at 5,000rpm as it is rightly paired with the exclusive Shift-by-wire (SBW) Transmission System. But if you are a power monger, Genesis won’t disappoint you. There is even a 5.0 V8 GDi Gasoline Engine that can generate a Maximum Power of 413 hp at 6,000rpm and a Torque of 51.5kg·m at 5,000rpm with the same Shift-by-wire (SBW) Transmission System. This transmission system is particularly known for Higher transfer efficiency that facilitates smoother shifting and optimizes your control on the vehicle by allowing the right amount of power to reach the tires. The gear shift lever is electronic that now comforts the driver with a palm rest to enhance the grip. It worked well easing out the driving operations, especially with the front switches even when the knob was in a clenching position. One of the vital reasons behind this optimum performance of the 2019 Genesis G80, is its design that is strategically done to maintain the right weight balance of the car. The position of both the body and the position of the engine and the transmission is perfect to maintain the front and rear weight balance in a ratio of 51.6% : 48.4% that never allows the car to trip or waver when driven at a higher speed. The aerodynamic design is yet another reason to help in achieving this marvelous performance of the 2019 Genesis G80. The elongated wheelbase and the reduced overhangs at the front and the rear create a dynamic profile reducing drag to a significant level while improving stability at higher speeds. Our test drive with the 2019 Genesis G80 at the Newtown Square Genesis dealership says that it is deliberately powered with an engine that can generate much higher count of torque even at lower and medium speeds that nevertheless optimizes the performance through different real life road situations.